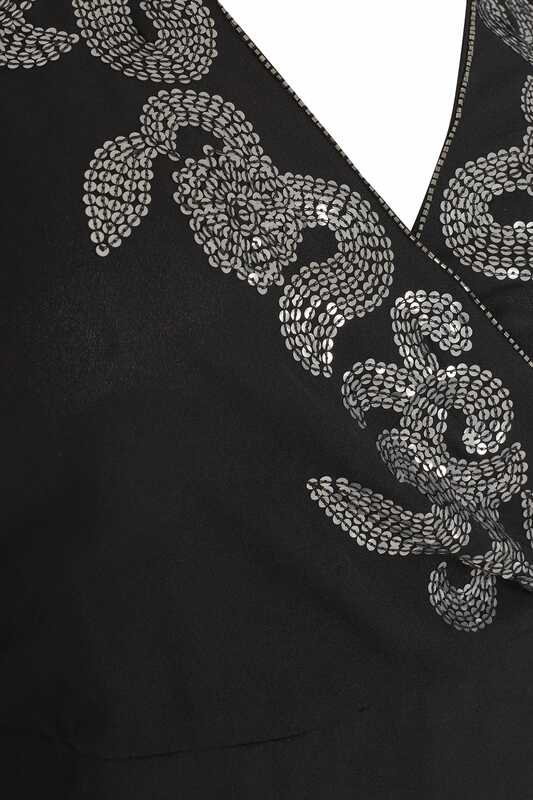 Adorned with a sprinkling of sequins, this luxurious blouse from Yours London will add sparkle to your step. 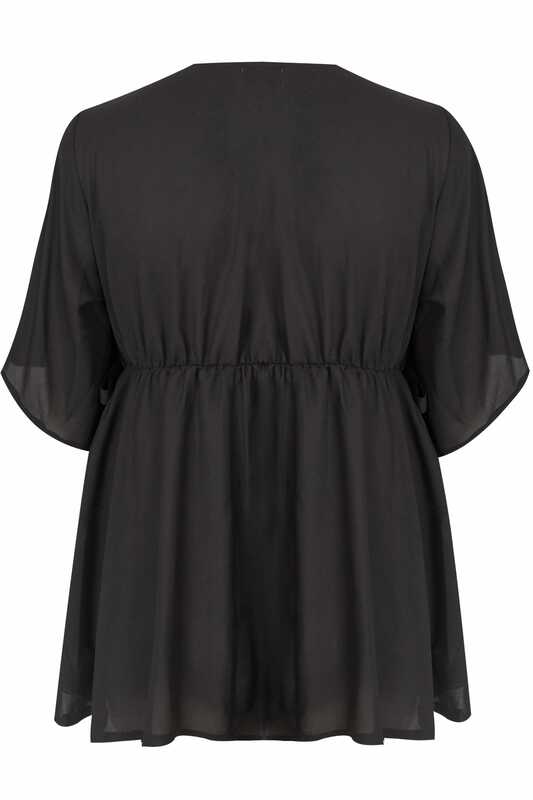 In a floaty kimono-inspired style, it is woven from a chiffon fabric and finished with a self-tie fastening. Oozing style, it is a party must-have.